One of my all time favorite bosses is Jim Rueckert. He is kind, fair, and a hard worker. However most of all he believed in me. He treats people how he wants to be treated. 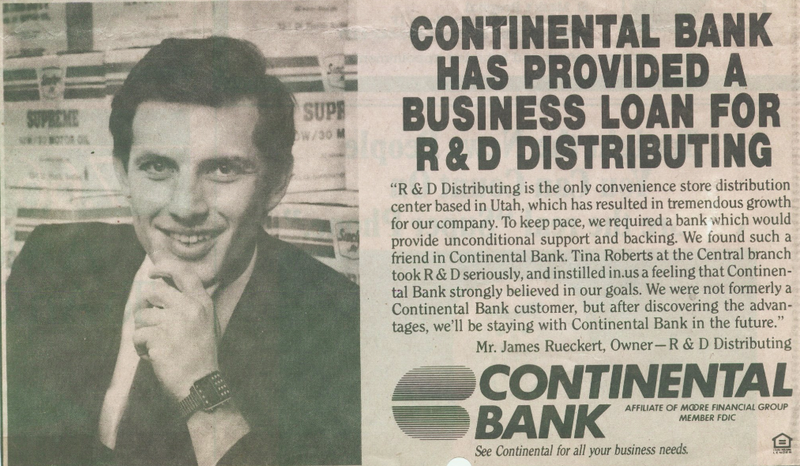 I worked for Jim and Becky Rueckert at R&D Distributing for almost 7 years. When I started working for Jim and Becky, I was a delivery driver. I was also a customer service rep every Monday when convenience store managers would call me to place their orders. A few days ago my niece got married. Her husband’s best friend is Jim and Becky’s son, Mark. Mark was able to ask his grandpa if it would be OK If his friend used his big back yard for the reception, He agreed. As a child we would play Kick The Can on their two acres of wooded property. What a small world. It was so fun coming back to a childhood hang out place. While I was at the reception, Jim came. We talked for about 30 minutes. I had not had this much time to talk to Jim in 25 years. While I was working for Jim, the competitor lowered it’s prices below wholesale, forcing Jim to close his doors to his business that he built with Becky from the basement of her childhood home. Jim was able to get me a job with the same company he started working for when his business was shut down. All these years later I wondered, asking Jim, why did you pick me to come with you to your new company of all the employees? He told me “you were teachable”. Then he proceeded to tell me a story about one of the convenience store managers that was upset with me after a delivery, and called Jim to tell him I was never to return to his store. I had forgotten this story. Jim asked me to go back to the store and apologize, and I did. Jim was surprised that I had agreed to do this. Jim was so impressed that I was willing to do this. He never forgot the impact this made on him and the store manager. Jim told me most people would have said I was not wrong and I am not telling that manager I am sorry. I didn’t do anything wrong. Over the years I have always been willing to eat humble pie, even when I didn’t feel like I had done anything wrong. This practice has paid off big time over the years. I am grateful for this valuable life lesson.